Seems we're having some bad luck with our coach this year, first the electrical gremlins with several lights, switches, etc., still unresloved.... and then the refrigerator craps out (the ammonia smell about knocked me over) when the cooling unit expires. So, after being unable to find a residential unit that would fit the space (either to tall, or too wide, or too deep, etc., etc.) in my '07 American Tradition 40Z, we decided to go with the Dometic unit that (per Dometic) is the current replacement, i.e., same size, dimersions, gas/electric, etc., with split 4 doors vs the 2 doors in current unit... and stainless door vs. black. Ordered it from Camping World, on sale for a mere $2900 YIKES!, plus shipping and installation. 10 days later it arrives and we schedule, drop the coach off and get a call that the unit is damaged (big dent in one of the doors) and, of course, Dometic won't just ship a replacement door, must send a whole new unit ARRGG! So, I suggest they take out the old fridge, since they already have the passenger seat removed, the screen door removed, doors of old fridge off, and the cardboard and padding everywhere for the planned install. Great they say. So, after removing the old fridge from the cabinet they discover they are unable to get it out of the coach (even with the fridge doors removed, as we knew was necessary, based on all measurements I got from Dometic and took myself, for both removal of old and bringing the new one in). The problem was not the door width but rather interference from either the TV cabinet above in front or the dash area itself. Removing the cooling unit on the back of the old fridge would have allowed removal, but doing the same on the new replacement fridge was not something they wanted to do. So, back into the opening goes the old dead fridge... and I cancel the order, and move on to Plan B, whatever that is ??? I know removal on the windshield is one option (but I'm not keen on that one having just put a new windshield in in 2017, not to mention the cost). I have no other windows large enough to suffice the passing of a large refrigerator. Your problems with your '07 40Z are not unique including the refrig issue. I have a page and a half spread sheet of maintenance items I've done on my '07 40Z since purchasing it in 2017. It's just the nature of RV ownership. Have you called REV and asked for tech support for your light issue? They should send you a wiring diagram. Since Deb retired from REV they don't seem to be as informative as they once were. I would never let an RV dealership touch my coach, so with that said here's what I did to address the broken fridge issue. I hired a mobile RV mechanic in Santa Fe, N.M. We were far away from home in the middle of our summer RV trip so I was at the mercy of recommendations from people I did not know. This did not turn out well. In my research I found a Whirlpool refrig that would fit that opening if the coach entry door was removed. The RV mechanic said he had removed a similar door before, his comment "I've done that rodeo before". Evidently he had not because he could not get the door back on correctly and we had to go to the REV service center in Alvarado, TX to get it back on. So to address your specific refrig issue, a Whirlpool will fit with exactly 1/2" clearance in the hall way with the passenger side door cabinets and bath door knob removed. You will have to trim the refrig cabinet opening some to get the refrig in. My advice is not to remove the entry door and remove the windshield. It may cost a grand or so but less than the $2500 it took to get the door back on. If going through the windshield opening you likely will need a fork lift and measure to make sure you will clear the opening defined by the TV and dashboard. The dash hump can be removed for additional clearance. I met a guy with a Revolution that got a Samsung thru the passenger side window. He had done the research and found a company that specialized in refrig replacement. If I were to do that again I would find a company that does that for a living. I would be willing to drive a distance to have it done right and work it into an RV trip. Concerning mine, when I got home I trimmed out the opening and it looks like a professional install. But again I would pay to have an expert do it. At least with the mobile mechanic he stuck with it until we got the refrig in and working. He picked up the refrig from Lowes and delivered it for the installation. He never gave up until after working for nearly 4 hrs trying to get the entry door to close properly. That's when I told him we need to get the service center involved. Since Mesa RV was in Albuquerque a short drive away we went there first. They told me the door would need to be replaced and since REV doesn't make that door anymore it would have to come from a salvage. I knew the door wasn't broken so I paid Mesa the $300 they wanted to tell me that and vowed never to take it back to an RV dealership again. JR does but in my case they would not send out a cooling unit because it is difficult to install correctly. On my particular unit they've had many returns due to improper installation. I would have had to go to their shop some where in the mid west to have it installed. Personally I'm glad we got the Whirlpool even with all the issues. It just works and we've boondocked 8 days with it in S.D. We ran the genny 4 hrs per day to charge the batts. It's just a better unit with more storage than the Domenic. And far cheaper. I have a 2005 42 foot Eagle with a 500hp Cummings. How does your truck tow behind the coach. Do you have the Goldwing loaded into the truck? How much does it draw down you MPG? How does it handle the hills. Thanks. I just wanted to leave an update for all who gave advice and help. January and February had been busy months with my wife having a "reverse" shoulder operation and then 2 weeks later falling on that arm and braking it in 4 pieces. then just this Tue had the operation to fix the break and of course change the rod in the arm to a longer one and all, just got out of hospital and home yesterday. But, about the motorhome, I changed the motor for the furnace, cost 100, and all is well, quiet and works great. Now the rear area which also is heated by the down motor, is good. going single digit this weekend again. Too bad I don;t have the money or interested wife for the trip to warmer areas. that motor shaft wobbled like mad, bearing or something definitely wore out. But we are doing fine now. thanks for all who commented and helped. Now to get flat tire replaced after I add fluid to the reservoir for the lifts, (I can see the tank in the rear muffler area) and stop the beep beep beep......that dives me and wife nuts. So much info and assistance here so far. Much appreciated. And I have to fix the broken awnings on passenger side. Broke off the trailing post on the large awning, and also the leading one on the bedroom awning. Wonder if I can just replace the posts or have to get all new awnings. Social security does not support full timing in rv does it, lol. Well gotta help wife take shower. Drive safe y'all. 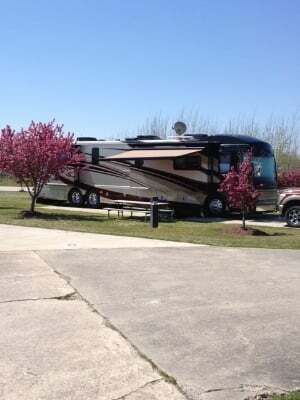 2001 Fleetwood American Dream 40 QS.